Amy Vilela is a member of the Las Vegas branch of the Democratic Socialists of America. In her 2018 run for Congress, Keenan Korth was listed as "campaign manager" for Amy Vilela. Cori Bush Tweeted from SXSW Conference & Festivals held March 8-17, 2019: March 11 2019: "It was great to have this moment together @sxsw with my lovely sisters @amy4thepeople Amy Vilela and @AOC Alexandria Ocasio-Cortez! But it wasn’t the same without @paulajean2020 Paula Jean Swearengin, we missed you! #KnockDownTheHouse"
The day after the U.S. House Trumpcare vote, Democratic Congresswoman Dina Titus came home to Las Vegas. She had plenty to say about the rushed health care vote, and so did a few of her constituents. This was not the usual Friday in Downtown Las Vegas. Rep. Titus held a press conference at her Las Vegas office Friday to break down what she witnessed in D.C. the previous day. She began with a simple explanation of why she voted against the American Health Care Act (AHCA, aka Trumpcare). Justine Harrison is an aviation attorney in private practice. During the press conference, Harrison said she would have to shut down her business if AHCA were to become law. 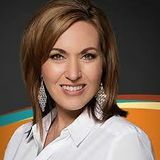 In 2018 Amy Vilela ran for U.S. House, 4th District. Medicare for All has become a rallying point for progressives. For Vilela, it’s a crusade. In 2016, her oldest daughter, Shalynne, died from a pulmonary embolism after she couldn’t provide proof of insurance during a trip to the emergency room. Politically radicalized by that tragedy, last summer she decided to challenge Kihuen, who supported the Affordable Care Act but not Medicare for All. In her campaign kickoff video, she denounced the “barbaric, profit-driven” U.S. healthcare system. Endorsed by Brand New Congress, Justice Democrats, National Nurses United, Our Revolution. Campaign Manager: Keenan Korth founder & former President - Las Vegas Democratic Socialists of America, Board Member - Nevada for Healthcare-NOW!, and founder & Board Member for the Las Vegas branch of the Progressive Democrats of America. Amy Vilela is a member of Las Vegas Democratic Socialists of America. Hosting the LV #PPLSummit Activist Review, in collaboration with the Las Vegas Democratic Socialists of America, Draft Bernie Nevada for a People's Party & Nevada for Healthcare-Now! — with Keenan Korth, Amy Vilela, Tisia Stemp Kristofer DiPaolo and Manuel Arizala. San Antonio Democratic Socialists of America closed Facebook group members, as of April 7, 2017, included Amy Vilela. Amy Vilela was endorsed by Justice Democrats for 2018. In 2018 Indivisible endorsed Amy Vilela. Las Vegas, NV Sep. 30 – Oct. 1, 2017. The Longhorn Room, Binion’s Gambling Hall 128 Fremont St, Las Vegas, NV. 11:45AM-12:45PM	Panel: Organizing Across Issues & Organizations During This “Movement Moment”: Moderator: Eileen Eady, Nevada for Healthcare-NOW! ; Rose Roach, Minnesota Nurses Association; Martese Chism, National Nurses United; Erika Washington, Make It Work. Nevada4thePeople; Deborah Harris, Women’s March on Washington. 2:30PM-2:50PM	Speaker: Preparing for Opposition… from our Enemies and our Friends: Michael Lighty, National Nurses United. 3:30PM-4:30PM	Panel: Developing Effective Medium-Term Campaigns After the Era of Resistance: Benjamin Day, Healthcare-NOW! ; Ben Palmquist, NESRI; Libby Devlin, NNU/NNOC; Donna Smith, PDA. PDA Arizona State Coordinator Dan O'Neal moderated a discussion. Panel: Medicare for All as a Political Campaign Theme – Facilitator: Donna DeWitt, former President South Carolina AFL-CIO; Amy Vilela, candidate for Nevada’s 4th Congressional District; Randy Bryce, candidate for Wisconsin’s 1st Congressional District. Respondent: MN State Senator John Marty. This page was last modified on 11 March 2019, at 19:44.